At Ricci’s Home Improvement we carry all the main fixture brands to complement your home improvement projects. Kitchen faucets, bathroom faucets, shower systems will add the final touch to our quality home improvement work. 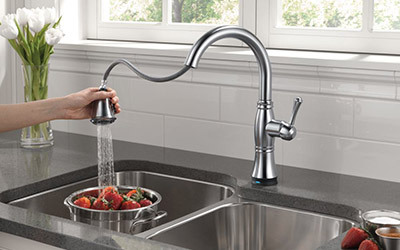 Come visit our showroom and let us help you complement your new kitchen or bathroom with durable and elegant faucets.